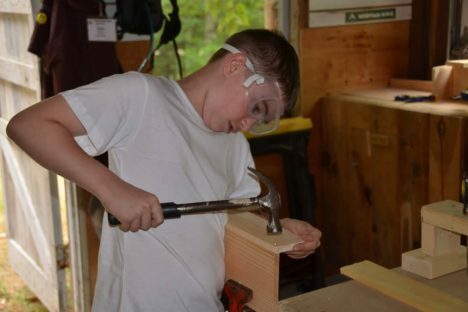 Express yourself at Camp Nashoba North. The fine arts at Nashoba North make it an extremely diverse art camp. Campers may choose to focus in a specific class for the week or they may prefer to try only a few different classes at once. Projects are carefully selected to enable a camper to achieve completion within the six-day week. Projects change weekly to keep the program fresh and exciting. Here you’ll find a pottery studio complete with electric wheels, a woodshop where campers create with soft native pine and a photography studio suited for developing black and white 35mm film. There is a large art and crafts studio where campers can work on other fun projects. 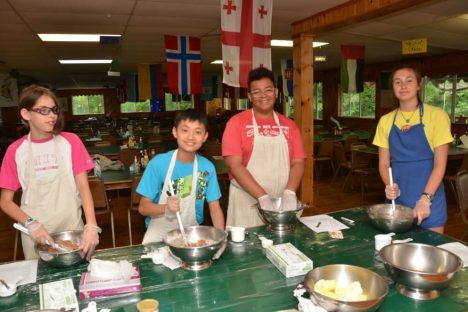 Some of these exciting classes and projects include: basket making, weaving, tie dying, puppetry, drawing, paper maché, candle making, creative writing, and our production of The Crescent Post – a camper-run weekly intra-camp newsletter! 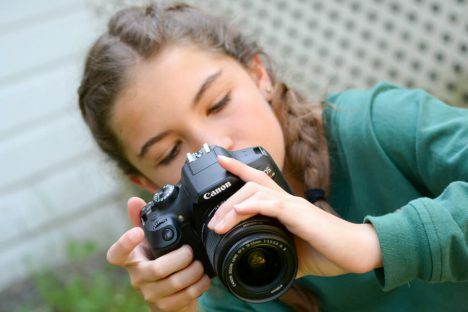 Campers can sign up for a wide range of artistic classes to learn and perfect their crafts. In our own, diverse art studio campers can sign up for a variety of activities. 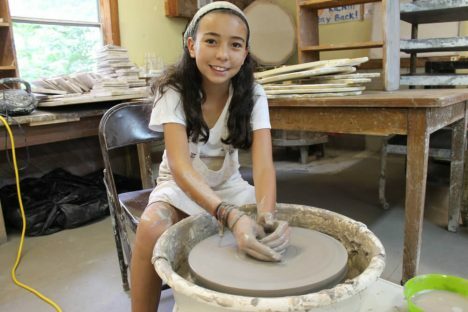 Here, campers have participated in activities such as “Leave Your Mark” in which campers come up with their own ideas to respectfully leave their own mark on Camp Nashoba North – previous years have created ceramic mosaic wall hangings, quilts, and have even begun to re-paint the interior of our arts and crafts studio to their liking! Other classes campers have the opportunity to take part in include weaving, tie dye, leather working, felting, glass mosaics, friendship bracelet making, still life painting, sculpting, dream catchers, memory boxes, knitting, sewing, copper enameling, and more! Campers are free to express themselves and find inner creativity in endless ways with the flexibility of our Arts and Crafts program.